I just finished over the summer the Oprah-driven book and DVD entited The Secret. 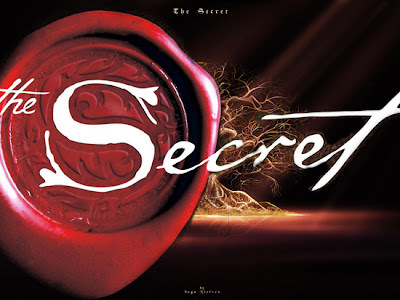 The Secret is a book, but it’s also a franchise, psychological and philosophical movement that has firmly grasped American spiritual consciousness during the last few years. I watched the DVD and did not read the book. But the basic idea draws on the Law of Attraction — our feelings, thoughts and desires attract and create actual events in the world and in our lives. While hidden to most, the true secret to success and happiness has only been adopted by the cultural movers and shakers over the centuries who have realized that positive thinking invites positive experiences. Initiated as a recent book and DVD movie campaign, The Secret is really just a new-agey and faddish repackaging of mind over matter or the name-it-claim-it health and wealth Gospel approach. With huge media exposure, thanks to culture-queen Oprah Winfrey, Ellen DeGeneres, the Today show and Larry King Live, the book is flying off the shelves. If in hearing or reading about this pop-culture spirituality, you have laughed, scoffed, sworn, shaken your head or sharpened your apologetic ax, you’re not alone. However, if you’ve not heard of The Secret or overlooked its cultural traction, then you may be missing the world people live in as well as a great opportunity to bring Scripture into conversation with culture. Saint Paul didn’t miss his opportunity to offer his own corrective to the happy, healthy, wealthy mentality. In fact, he advises Timothy, a young colleague and “son” in the faith, giving him the secret to being content as opposed to happy. And in short, it’s no Secret.